The following is a web designer’s helpful and anecdotal perspective to guide clients through the 8 point process of writing a creative website design brief; the ‘what to do’ and ‘what is best to avoid doing’ list. So, you’ve secured funding for your new B2C or B2B website, it’s now time to get things moving in the right direction. The first thing that you might want to give careful consideration to is creating a website design brief. 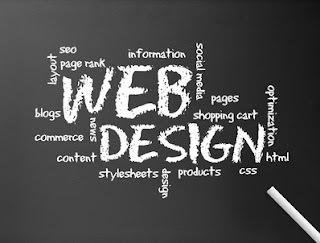 A brief for your new site should be a comprehensive and helpful document, something that our design, web development and search marketing teams can look at to get an idea of what you want. It needn’t be too extensive; keeping things concise and to the point is much more useful. In order to help you put together a brief quickly and easily, we suggest breaking it down into the following sections. One of our web designers has also added some links to one of their favourite sites to give you an idea of the things that we don’t find extremely useful. 1. What do you want the website to do? 99% of the time the answer to this question will be, “To make money”. How it makes money is the important thing. Do you intend to sell items or services online? Is the site intended to be a catalogue of your products designed to get your phone ringing? Will it be an information portal generating money from advertising? Will you charge for membership? If it’s a top secret idea that you want to guard with your life... well we’re usually willing to sign non disclosure agreements. 2. What’s your target market? A site that targets 80 year old woman is going to differ slightly from one targeting teenage boys. Will the site be accessed mainly from desktops or people on the go using mobiles and tablets? Do you specifically intend to target mixed race 50-somethings looking for a good fish and chip shop in the Leyton Buzzard area? You know your market better than we do, it’s your job. It’s our job to know how best to target that market. Client's funny response about their audience. Client's funny response about budget considerations. 4. Do you currently have a website? If you do what’s the URL? What aspects do you like about your site? What are you not happy with? Is it working? How long has it been online for? What did it cost you? Have you seen a return on the investment? Client's funny response to expectations for the website. 5. Do you have an existing identity? If you already have a logo, colour scheme and brand guidelines that’s great, it makes our job a lot easier. If not, would you like us to create any of these for you? Client's funny response about the corporate identity. 6. Any idea of how you would like it to look? What’s helpful here are some example sites that you like the look and feel of. Sites that will work with your product and your target audience. Is there a particular feel you want to achieve? What sort of experience would you like the design to convey? Client's funny response about the look and feel of the website. There’s no need to over-complicate matters with long winded explanations describing in great detail how you expect every section of the site to work. When it comes to meeting face to face we can discuss functionality. If you have a complicated, idea we’ll strive to make the user experience as simple as possible. Client's funny response about keeping it simple. 8. Anything out of the ordinary? Client's funny response about point of difference. Rocktime has naturally written out some steps you can follow for writing a creative or campaign objectives brief and our Sales Team will happily help you draft out some ideas for your website. It should be an enjoyable and exciting exercise. What funny anecdotes do you have about the website design process? This is a really useful and comprehensive guide towards making a functional webpage regardless of the purpose of having one to begin with. Business owners need to carefully list down the requirements of their retail e-commerce site to serve the right purpose like whether it is for a B2B or B2C platform and take into consideration other factors as well before reaping the success out of the site.